Whitmer signed several measures Monday, including one that creates new offices in what will become the Department of Environment, Great Lakes and Energy. The restructuring creates offices of public advocates for environmental justice and clean water, and it creates an interagency environmental justice response team. Environmental groups called this a great first step. “We know these things need to happen, and now we have kind of the groundwork to move forward,” said Sean Hammond of the Michigan Environmental Council. Hammond said they’re also pleased the new restructuring will eliminate several boards and commissions created by the Legislature and signed by Governor Rick Snyder last year to oversee rulemaking in the DEQ. Whitmer also entered Michigan into the U.S. Climate Alliance. That’s a bipartisan group of governors from more than a dozen other states focused on reducing greenhouse gas emissions. The goals of the alliance are similar to those of the Paris Agreement, which President Donald Trump pulled the U.S. out of. Whitmer pointed to the recent major fluctuation in temperature in Michigan – from polar vortex to mild, spring-like temperatures – as a reason to enter into the alliance. Republican Speaker of the House Lee Chatfield has not yet gone over the new measures. 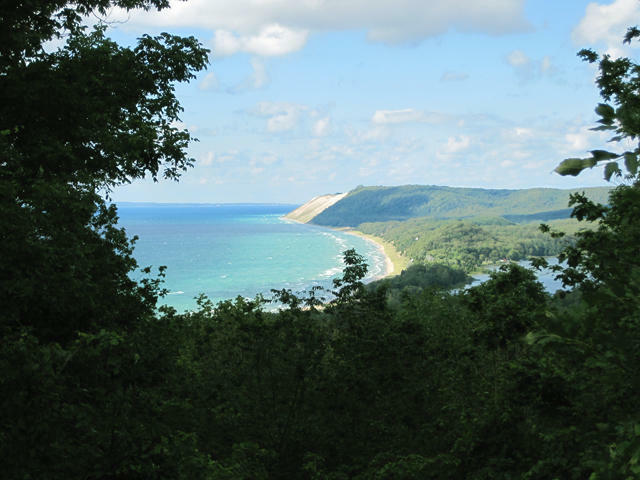 Environmentalists are giving a road map to Michigan’s elected leaders for dealing with threats to the state’s land, lakes and drinking water. Twenty conservation and environmental groups delivered their recommendations last week. The cold snap is expected to be over by Friday. But once the cold weather eases up, there will be new issues for the state to handle. The dramatic freeze and upcoming rise in temperatures is bad for roads, and the Michigan Department of Transportation is getting ready. Paul Ajegba is the director of the department. He says MDOT has had about 1,200 trucks on the road putting salt and sand out. But they also expect to have to patch roads once there’s a thaw. Governor Gretchen Whitmer’s first State of the State address will happen a week later than originally scheduled. Whitmer was scheduled to deliver the speech on Tuesday, February 5th. But Speaker of the U-S House Nancy Pelosi announced she would invite President Donald Trump to deliver his State of the Union address on the same day. Whitmer now plans to give her State of the State address to the Legislature in the Michigan House Chamber on Tuesday, February 12th.